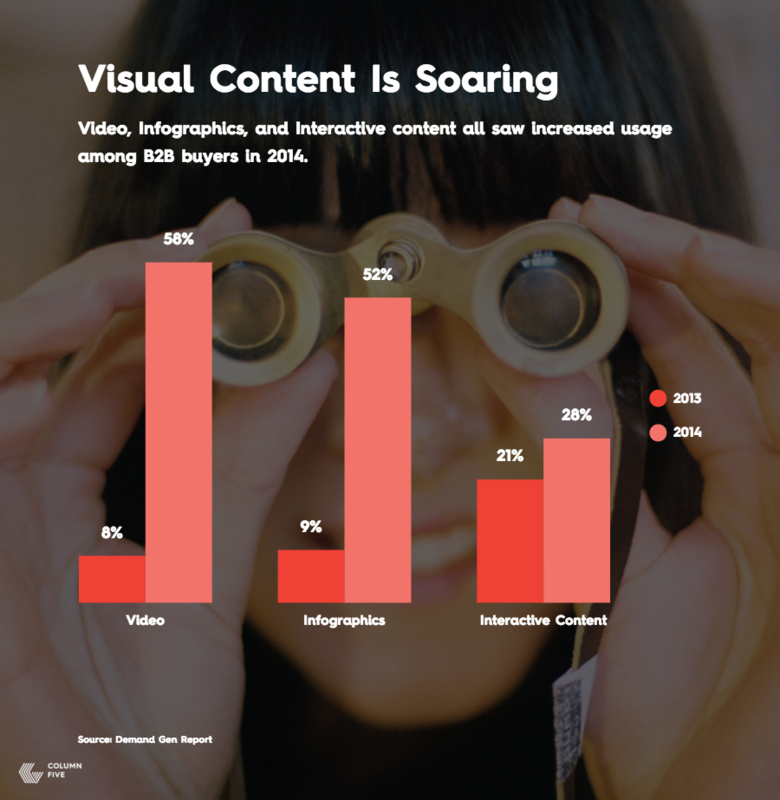 The folks at Hubspot recently released a set of visual content marketing statistics. 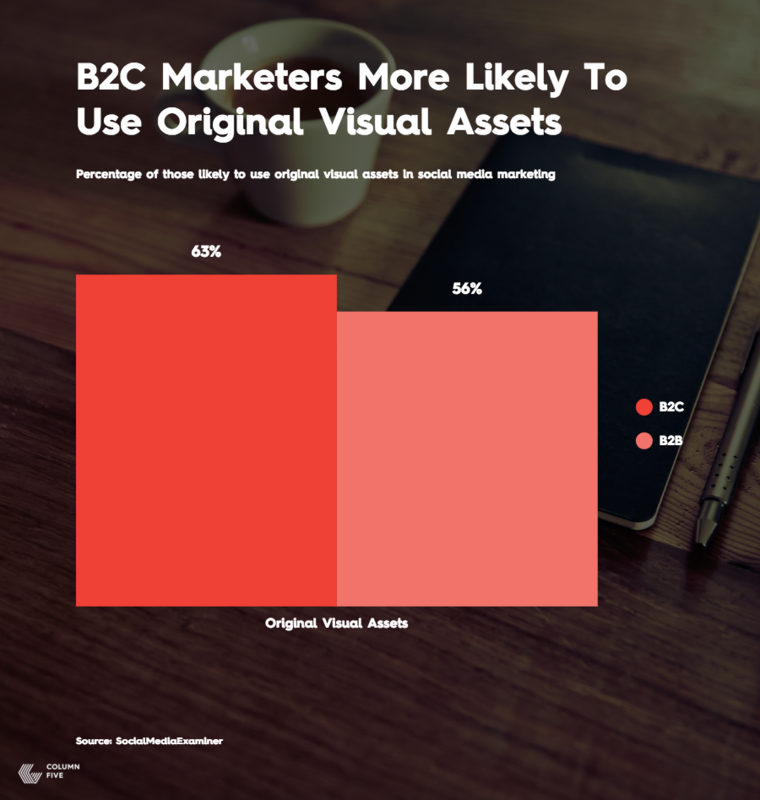 Since the stats are solely focused on how visuals are used in content marketing efforts, we were immediately drawn to this article and its findings. As people who create visual content every day, it’s reassuring to see how these efforts are resulting in higher engagement and greater content retention. 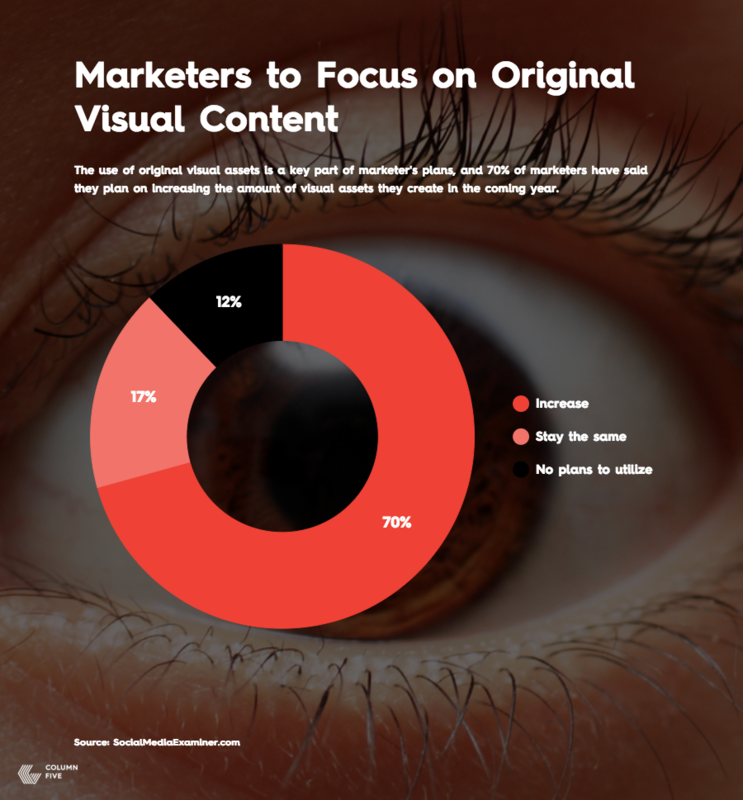 Visual content isn’t something new. People, cultures, and brands have used it for hundreds of years. That’s because visual content is easier for people to understand, comprehend, and digest. With the vast amount of content produced on a daily basis, quickly engaging your brand’s audience and effectively conveying a single message are crucial. Visual content solves for both of those challenges. The stats below show how more and more marketers are using visual content, resulting in higher performance across email, social, blogs, case studies, and other marketing tactics. We’ve partnered with our sister company, Visage, to create these visuals about visual content. (Yes, visuals about visual content, *slow clap. *) For more information on visual content marketing, check out this short deck on Newsroom Creative: a program we’ve created to help brands create timely, relevant content at a cost-efficient price point.